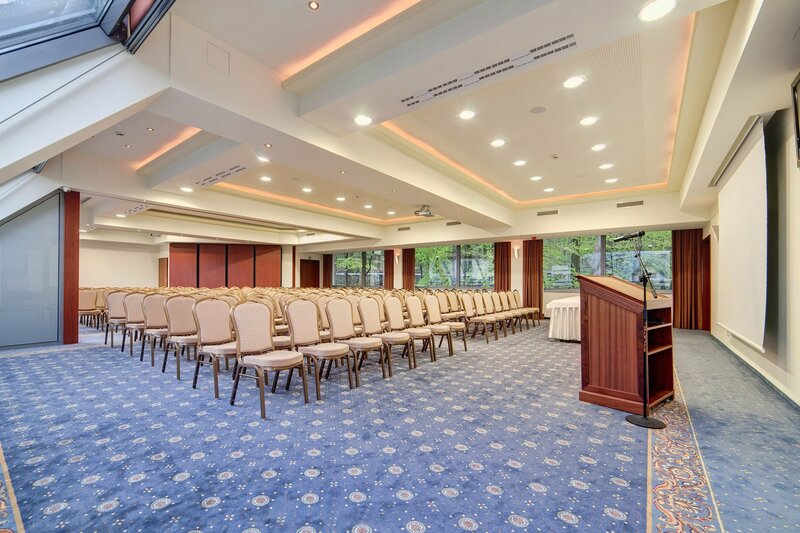 Hotel Prezydent Medical Spa & Wellness in Krynica Zdrój offers modern Training and Conference Centre, designated for professional meetings, conferences, business meetings and banquets. We strongly believe that our luxury hotel interiors that creates friendly and warm atmosphere will exceed Your high expectations. 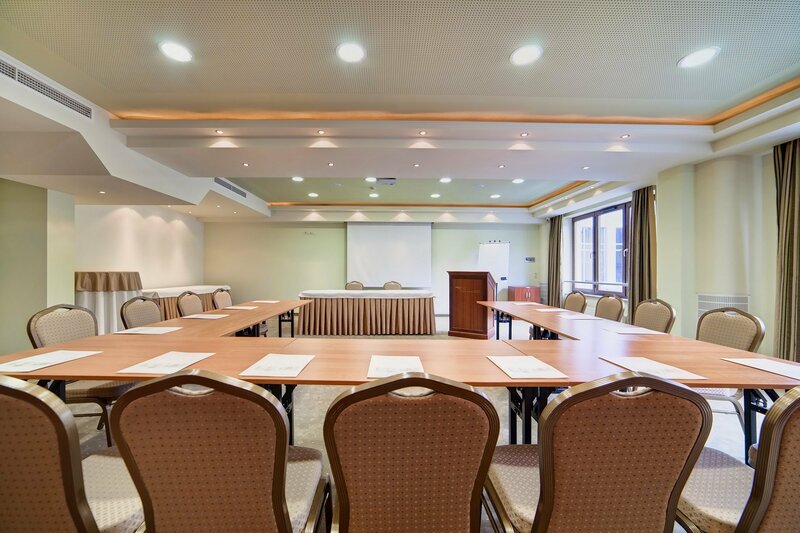 Training and Conference Centre offers 8 comfortable air-conditioned, multi-functional meeting rooms, including 3 VIP Rooms perfect for small business meetings. Technical solutions enable our meeting rooms to be swiftly converted into several separate zones as needed, we can adjust the training or conference room to the number of participants. Hotel President is equipped with a state of art audio-visual technology. 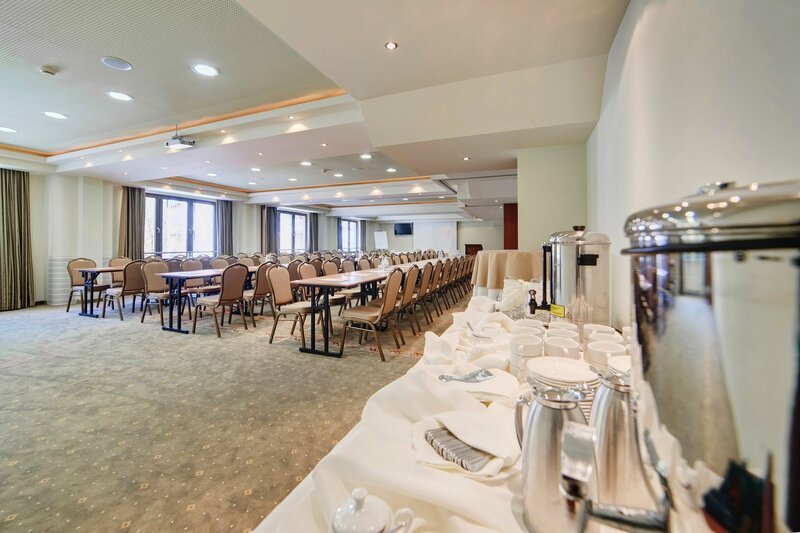 Training and Conference Centre can accommodate up to 400 people. At yourconvience we dedicated to you our professional staff and personal Business Manager who will take care of your group from the moment of arrival to departure. For all our guests we have a number of additional attractions, free and unlimited access to our SPA & Wellness Complex. 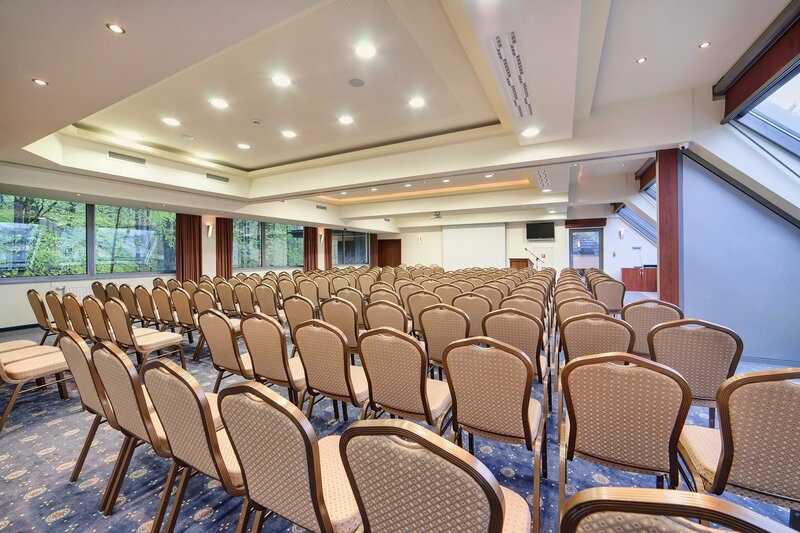 Prime location, modern equipment and professional staff surely is a recipe for great event in Hotel Prezydent Krynica Zdrój. To see the layouts of each meeting room, please use bookmarks - Conference Rooms and VIP Rooms.